Companies dedicated to just accessories are becoming much more common place this day and age. 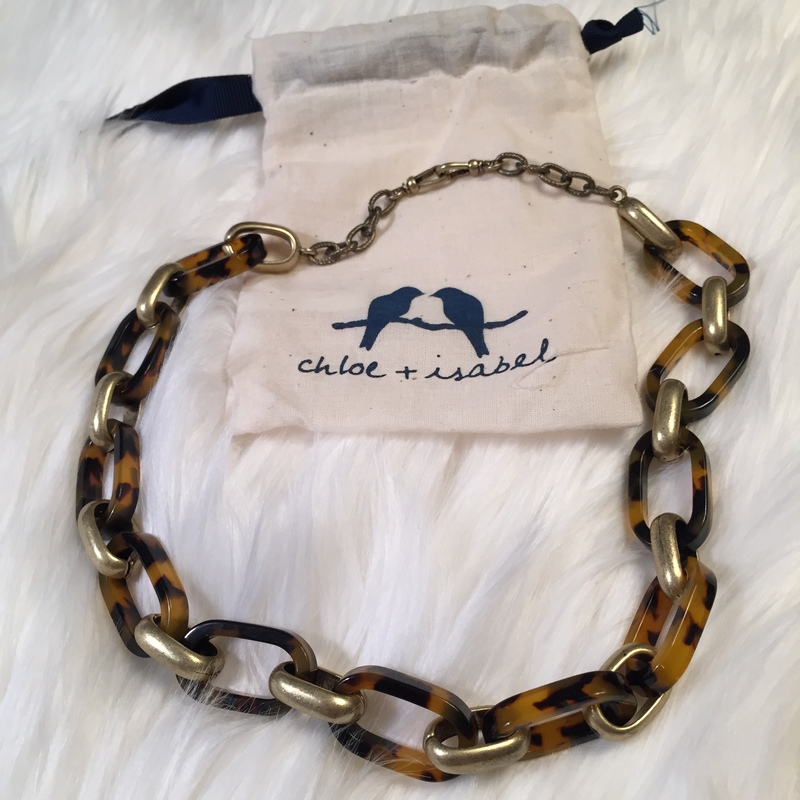 I was introduced to Chloe and Isabel’s accessory line through an amazing blogger and friend – Kenzie at one of her jewelry parties. She is the author of Cave Girl in the City. (check it out!) Chloe and Isabel is powered by their merchandisers – what they consider to be the heart, soul and true center of the company. 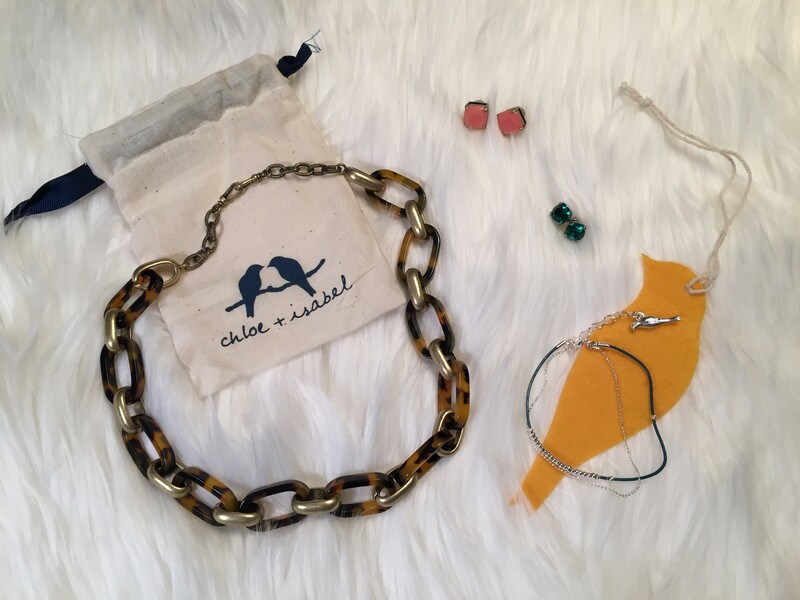 They allow women the opportunity to earn an income by selling the accessories that are featured on Chloe and Isabel. I geared my recent purchases toward fun summer colors and I am so excited to take them out and rock them. I have always wanted a tortoise designed piece. I am happy to announce that I finally purchased one for my jewelry collection. This is the Heirloom Tortoise Link Necklace and I think that this would be perfect with anything. Whether it was for work attire or for going out to a Sunday brunch with some friends – this fits the bill! Studs have infiltrated my wardrobe more that I could have imagined. I used to think that they were old fashioned – something that my mom would wear. Now I realize that they are just classic and will last through the times. Aren’t these earrings amazing? These coral square cut Sedona Stud Earrings scream summer. Makes me want to throw on a cute dress and flats and go grab some ice cream and walk through a park – just to show them off. Look at the cute detail of the Chloe and Isabel signature on the back of the earrings. These Round Emerald Stud Earrings are gorgeous! The emerald color is so rich and elegant. Thankfully they are available in multiple colors! I am in love with the design of these earrings as well – gorgeous. Great attention to detail. 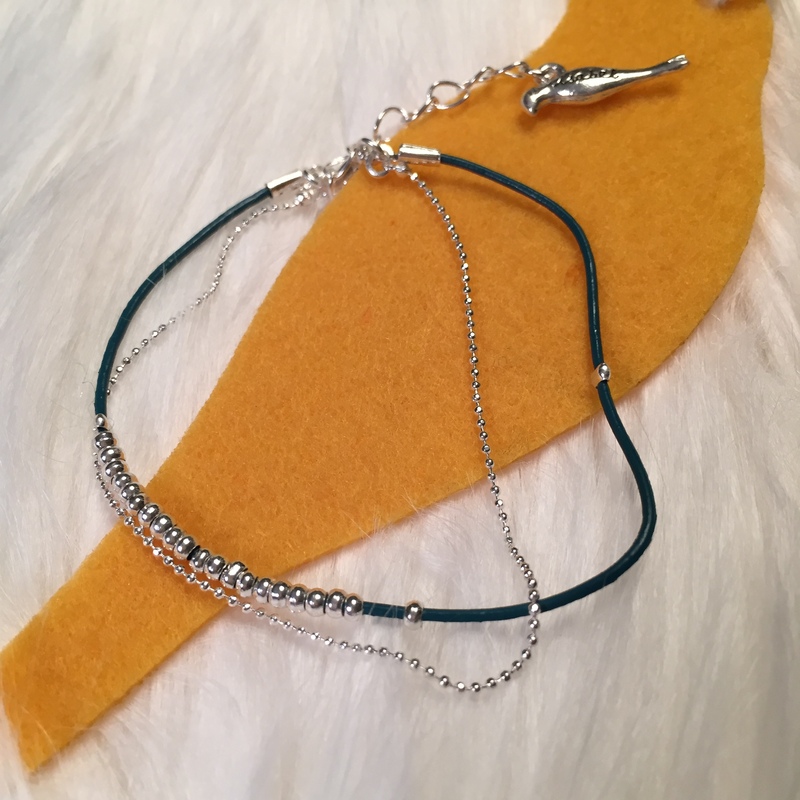 Last but not least – this beautiful bracelet. The Forest Green Dainty Leather and Bead bracelet is exactly what the product description says – dainty! A great addition to any spring/summer outfit. I have it in silver but looks like there is a gold version as well. The best part about Chloe and Isabel products? They have a lifetime replacement guarantee. Don’t believe me – look here. Not a bad investment right?! These are fabulous finds and I hope that I have inspired you to go out and be fabulous! Have an awesome weekend.